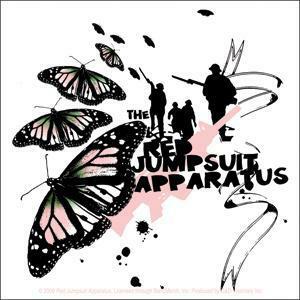 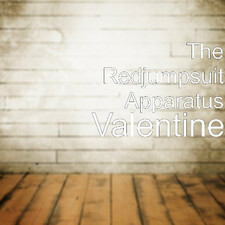 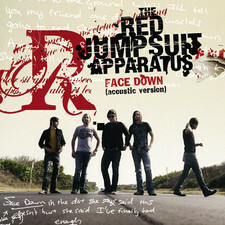 Just two years have passed since The Red Jumpsuit Apparatus, a group of friends from Middleburg, Florida who’d grown up together, emerged with their Virgin Records debut, Don’t You Fake It, which spent 62 weeks on Billboard’s Top 200, going on to sell more than a million copies in the U.S. 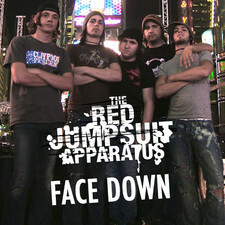 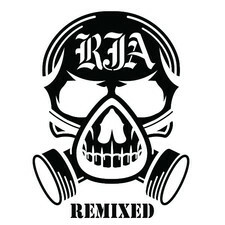 The platinum-plus single, “Face Down,” sold 1.5 million digital downloads, has been streamed almost 17 million times on MySpace and has since been retired after spending 52 weeks on the Top 20 Modern Rock chart (RJA is one of two bands to have done so). 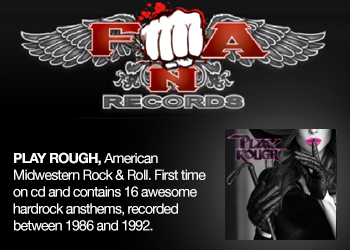 Rock radio smash “False Pretense” and the new wedding/prom standard “Your Guardian Angel” (10.2 million MySpace spins and 455k downloads) contributed to the album’s total of 50 million MySpace streams, and the band has since sold-out national headline and festival tour appearances. 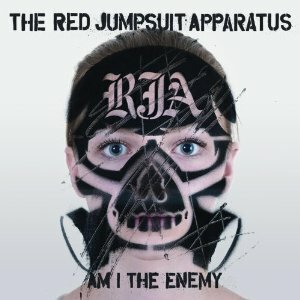 On top of RJA’s musical accomplishments, they’ve spoken on Capitol Hill on behalf of teen suicide prevention and mental health parity, founded their own charitable organization and have even created a clothing line with skateboard legend Tony Hawk, but still remain under the radar and one of the biggest bands that no one’s heard of. 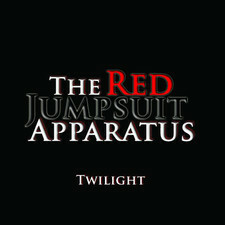 The band set out to change this when it came time to hit the studio for the all-important follow-up. 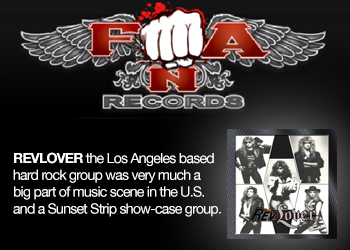 At first, the group ran headlong into a music industry going through changes, delaying its release. 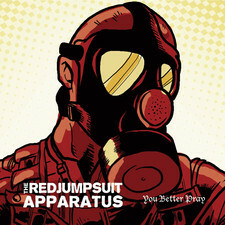 While frustrated by these delays, lead vocalist and songwriter Ronnie Winter, who started the band with guitarist Duke Kitchens seven years ago, is now convinced the time spent working on the songs that became Lonely Road with producer Howard Benson [My Chemical Romance, Daughtry, Less Than Jake, Hoobastank, P.O.D., All-American Rejects, Seether] was well worth it. 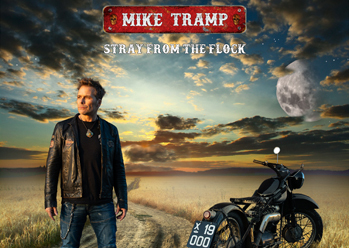 “Is this good enough for you, man?” he sneers in the album’s first single, “You Better Pray,” a bluesy, ringing-guitar, rock and roll salute to “the little guy, the underdog,” which, according to Winter, is how he characterizes his band. 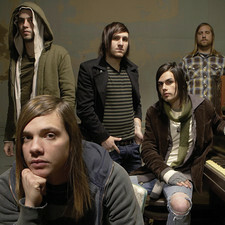 Indeed, Lonely Road is about circling the wagons and moving forward with your bandmates and fans, despite the naysayers, tackled in new songs like the catchy punk-rock of “Pen & Paper,” a poison dart at the nemesis’s and non-believers from the bands past (“You set yourself up to be sold/And that’s OK, cause that’s your role/Manipulation takes its toll/What will you do when nobody wants you?”). 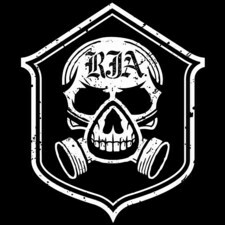 Working with Benson at his Bay 7 Recording Studios in the San Fernando Valley helped RJA expand their musical palette as well. 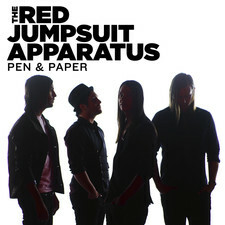 That growth can be heard on new tracks like “Believe,” a ballad with impeccable background harmonies and a pop-soul feel enhanced by lush arrangements featuring a real string section. “When we recorded that, I just kept telling Howard, ‘Think Motown,’” laughs Winter. 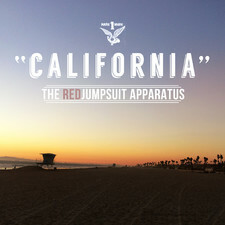 “Pleads and Postcards” is a dramatic, heart-felt rocker about a missive from a soldier telling his loved one at home to move on if he should not make it back alive (“This could be the last time that I speak with you/So just in case let’s make the best of what we have until it’s through”). 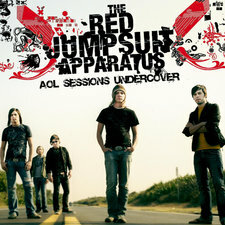 The closing “Godspeed” is another departure for RJA, starting with its martial snare, concert bass drum, marching soldiers and crashing cymbals, then ending with an ethereal gospel choir, it’s a song about killing an enemy in battle (“Then I saw him standing with a bayonet/And as I ran towards him he hardly broke a sweat/When I took his life he fell onto his knees”), only to have him ask to deliver his last message to a loved one (“Godspeed this letter/Away from here/I’ve sealed it with my tears/And stamped it with my fears”). 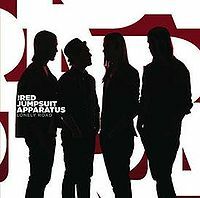 Music is just one part of The Red Jumpsuit Apparatus, though, preferring to use their visibility to promote causes they believe in. 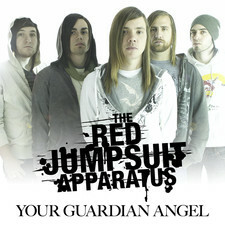 The band founded The Red Jumpsuit Apparatus Guardian Angel Foundation as an umbrella group to support a wide range of initiatives, including the fight against domestic violence (the subject of their hit single, “Face Down”), hyperglycemia research and their latest project, supporting high school band programs in need of funds, something that hits home particularly for Ronnie, who was an all-state tuba and sousaphone player. 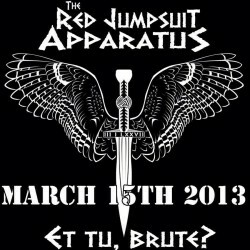 The group has plans to make impromptu performances at high schools along with their orchestra, contributing all proceeds to their programs. 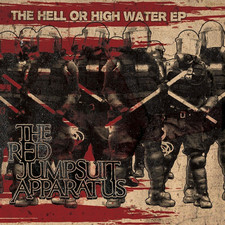 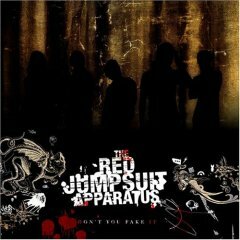 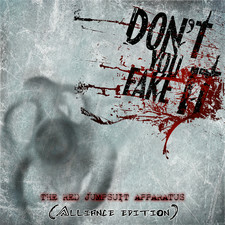 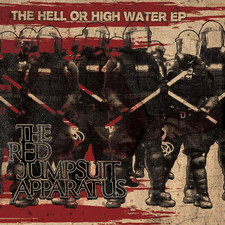 Just a little over two years ago, The Red Jumpsuit Apparatus released Don’t You Fake It. 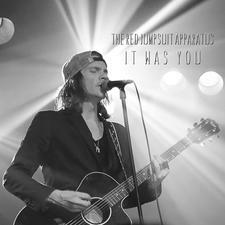 With Lonely Road, the second chapter, they continue their journey at a town near you. 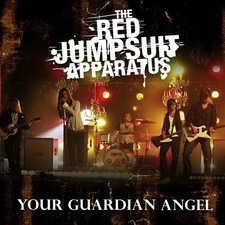 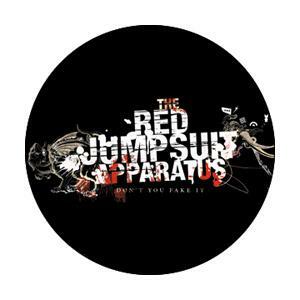 2006-11-27 - Red Jumpsuit Apparatus Certified Gold!